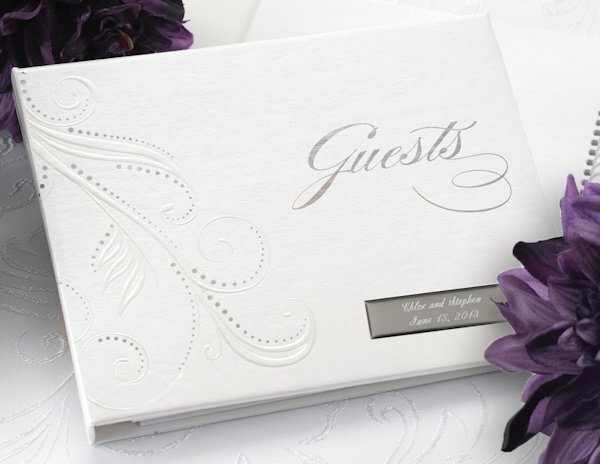 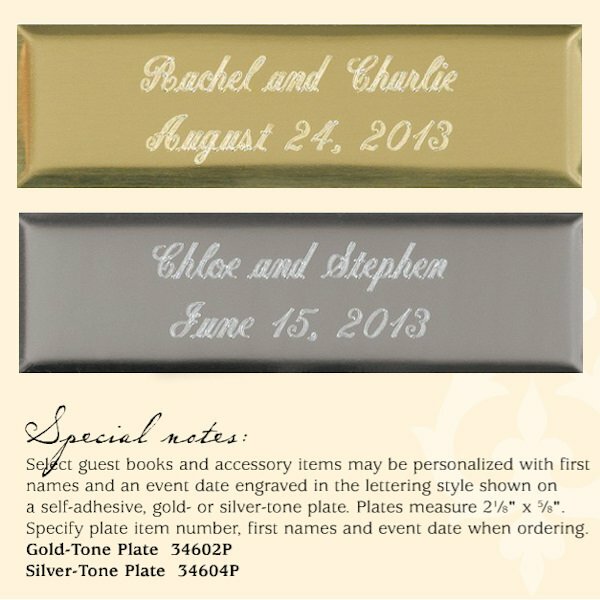 Elegant pearl-embossed swirls and silver foil accents add dimension to the cover of our white, spiral-bound guest book (may be personalized with 2 lines of text on a gold or silver plate for a small fee). 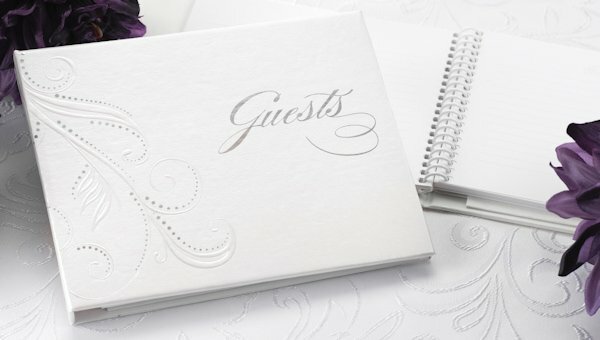 The 7 1/2" by 5 3/4" book includes lined pages to hold up to 800 guest signatures. 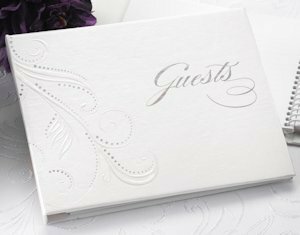 If you find you have room at the back of the book after all your guests have arrived, you may want to use the extra pages as a gift record.